6 Piece 120W RMS Home Theater System. Six piece home theater system with powered subwoofer. The satellite speakers are designed to function with most standard speaker stands or they can be wall mounted using the included brackets. 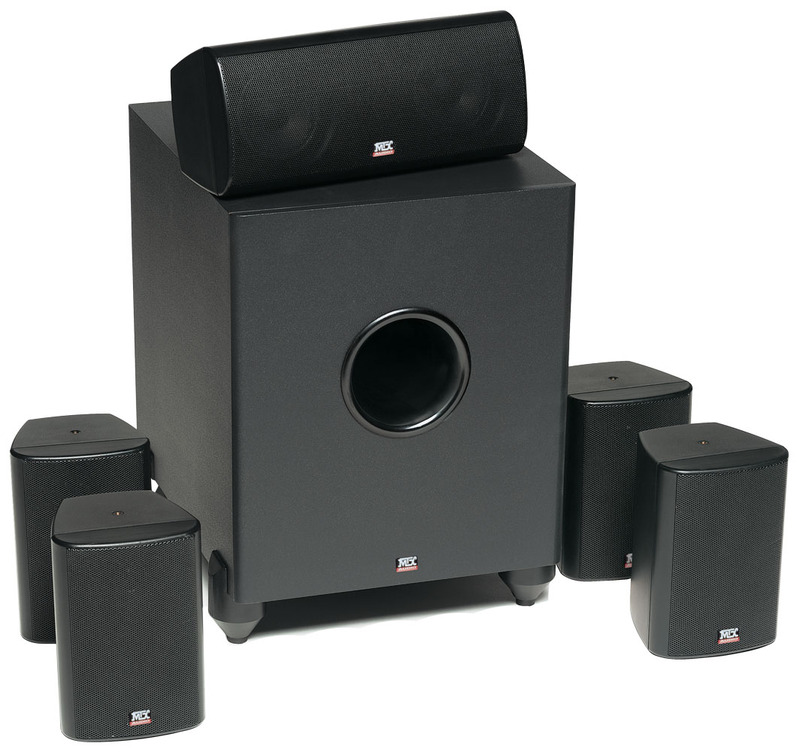 Impedance and sensitivity specs are for the satellite and center channel speakers. The subwoofer has speaker level inputs, line level inputs, adjustable low pass crossover frequency, and LED power indicator. "I got this [CINEMA1] and added a pair of dcm26's on my 7.1 systems and it sounds great. With the quality look and great sound I don't know why any one would get bose. Plus the 10 yr warranty that comes with the unbelievable price I couldn't find anyone else that could come close to competing." Center Channel Dimensions (HxWxD) 4 1/8" x 9 11/16" x 3 7/8"
Satellite Speaker Dimensions (HxWxD) 6" x 4 1/8" x 4 1/8"
Dimensions (HxWxD) 13 3/4" x 10" x 13 3/16"